The Pewaukee Scholarship Fund was founded in 1967 to offer scholarships for postsecondary education to Pewaukee High School Seniors. 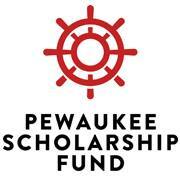 These scholarships are available through the generosity of Pewaukee businesses, organizations and community members. The PSF Board will consider granting scholarships to any post secondary educational experience. We invite you to apply as a member of the Pewaukee High School Class of 2014.